With such a variety of choice out there it can be tough to really grasp the differences between locks, keys, and their price tags. Like with most things there is a variance in the quality of the product. With locks and keys there is also a range of security involved. This is the one you will be most familiar with. That lock on the front door to your home is most likely to have an inline domestic profile. This means that the pins for the lock are all in a line. When the key is inserted the shape of the key moves those pins so that it can turn. Voila! You’ve unlocked the door. Pretty standard and thus it’s on the lower end of the high-security scale. These keys are able to be duplicated by any locksmith. These key profiles work similar to the inline domestic key except that they are restricted. Restricted key designs are registered for a certain period of time. That registration is also owned by a particular locksmith meaning that they are the only person allowed to duplicate that key during its registered life. You can read more about these types of keys over here. If you have been locked out inline lock profiles are able to be picked by a professional locksmith. A sidebar key profile means that there is a little piece in the side of the lock. This bar on the side prevents the lock from being turned and therefor unlocked. 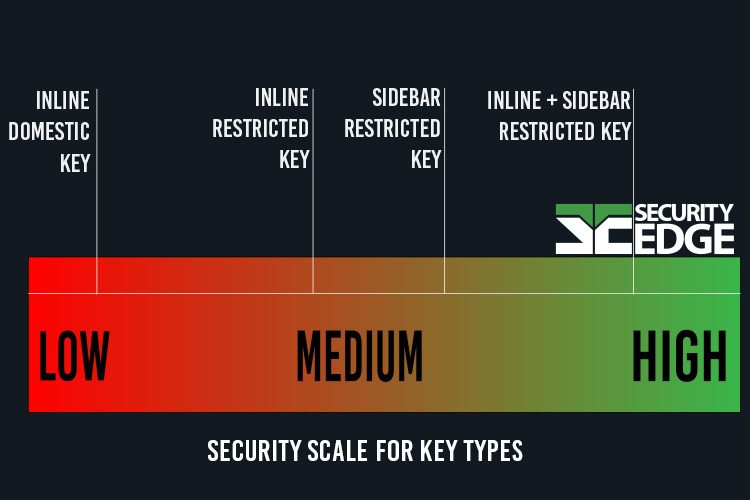 A sidebar registered key is akin to the inline registered key profile. However it is not easily picked by a professional locksmith. When inline and sidebar designs combine a high security lock and key combination is formed. Both the inline pins and the sidebar need to be compressed at once to allow for the lock mechanism to turn. These systems are also registered designs which restrict the ease of someone duplicating your key. 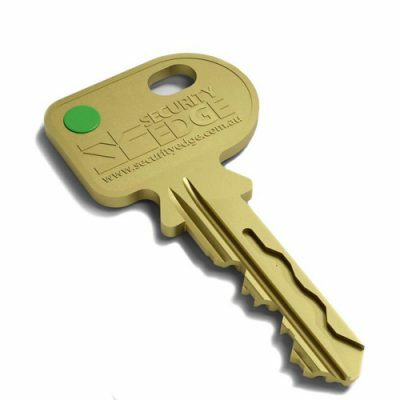 Security Edge is an example of this type of high-security key type. Get in touch if you would like to discuss the different types of locks and keys available. The team at Wynns Locksmiths will happily assist you with deciding the best profile to suit your application and required security level.